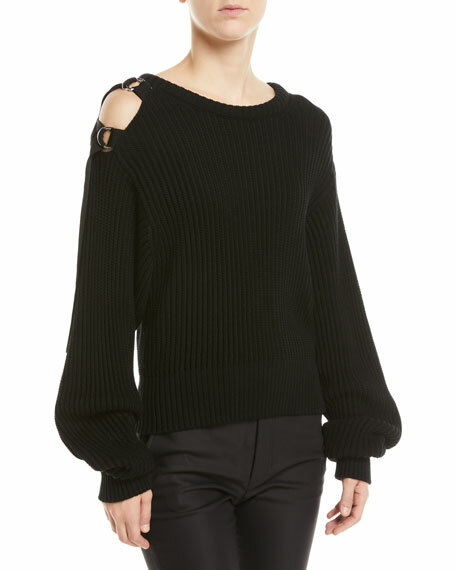 T by Alexander Wang top in sheer wooly rib-knit. For in-store inquiries, use sku #2323573. 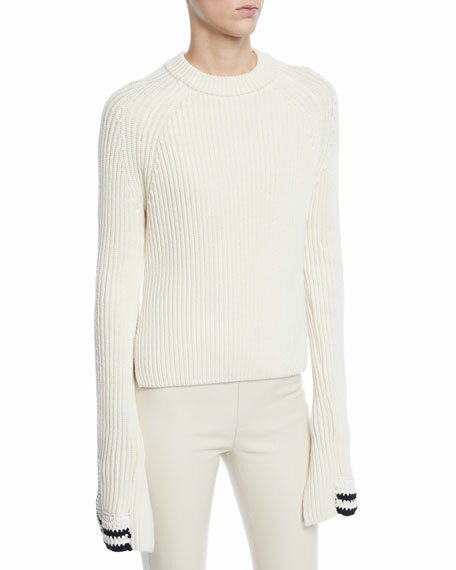 Helmut Lang ribbed knit sweater with D-ring buckles at open shoulder. Crew neckline. Long, billowy sleeves. Pullover style. Cotton. Dry clean. Imported of Italian material. 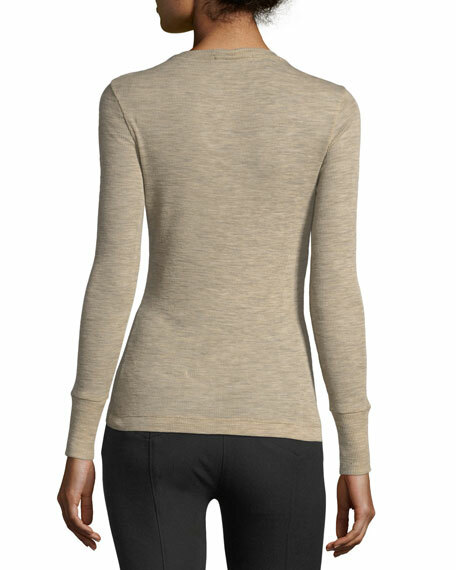 Helmut Lang ribbed knit sweater featuring two-tone crochet trim at split cuffs. Crew neckline. Long, raglan sleeves. Side split hem. Pullover style. Cotton/wool. Dry clean. Imported of Italian material. 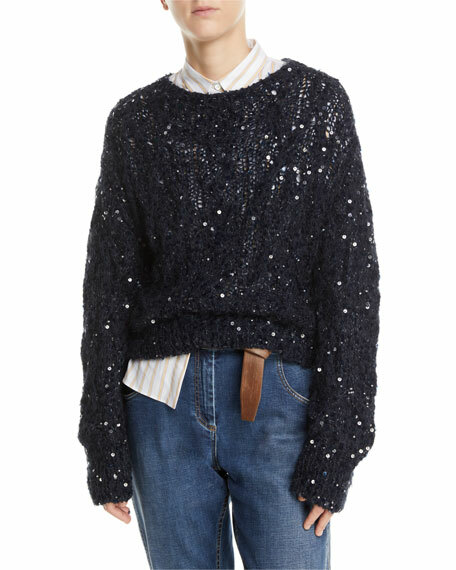 Pili Carrera waffle knit sweater with ribbed trim. Ruffle, crew neckline; asymmetric button front. Long, raglan sleeves. Includes matching diaper cover. Ruffle, elasticized waistband. Sweater and diaper cover: cotton. Made in Spain.